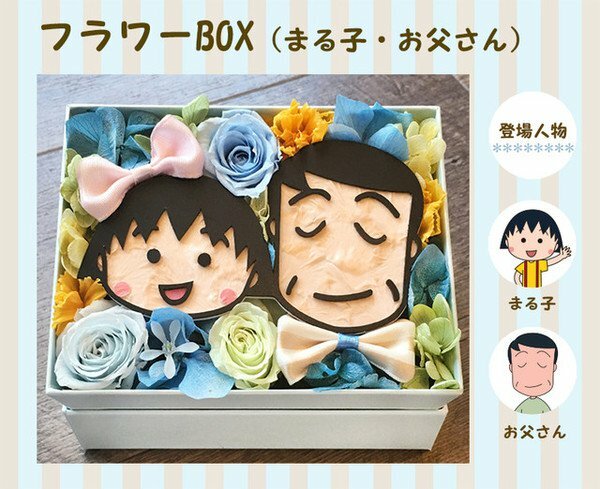 Flowers may be a traditional gift for women in many countries, but one preserved flower seller is offering a special Chibi Maruko-chan gift box for Father’s Day this year. Dōbutsu no Hanaya-san My Peridot’s gift box shows the anime’s title character next to her father. Makers create preserved flower arrangements with special techniques that make fresh flowers last long beyond the end of their normal lifespans. 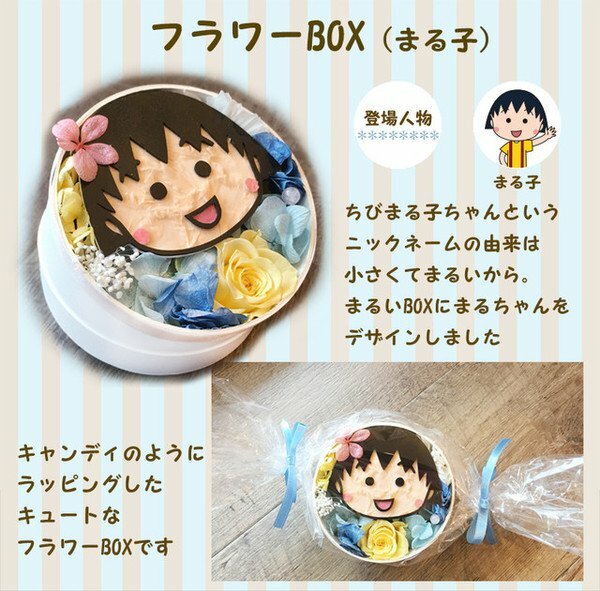 The new Chibi Maruko-san gift box uses preserved roses, hydrangeas, and carnations and costs 6,264 yen (about US$58). 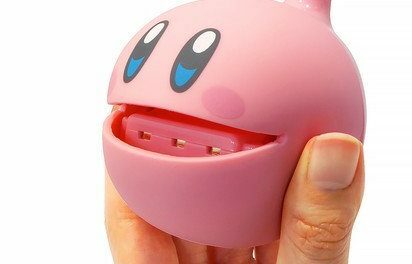 A smaller Father’s Day flower box with only a smiling Maruko is also available for 4,298 yen (about US$40). 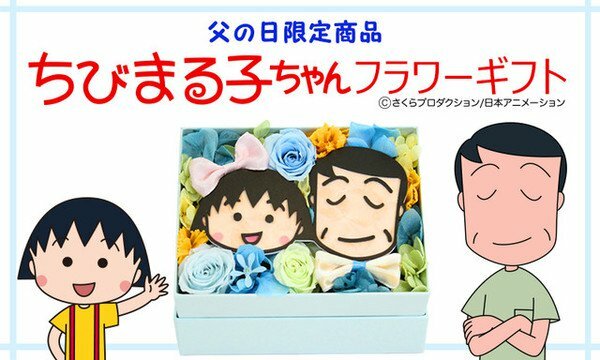 Father’s Day is June 17 this year, so Chibi Maruko-chan fans only have a couple of weeks to get their orders in.